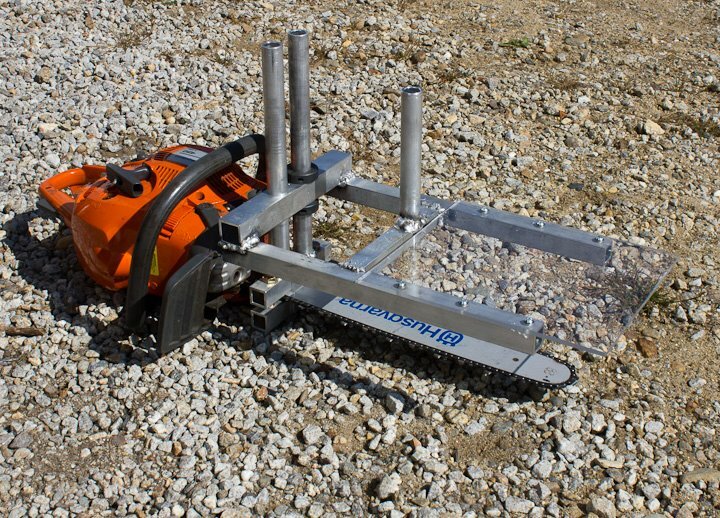 I’ve always dreamed of a sawmill of my very own. Given the retail price of hardwoods these days I decided it was time to do something about that dream. 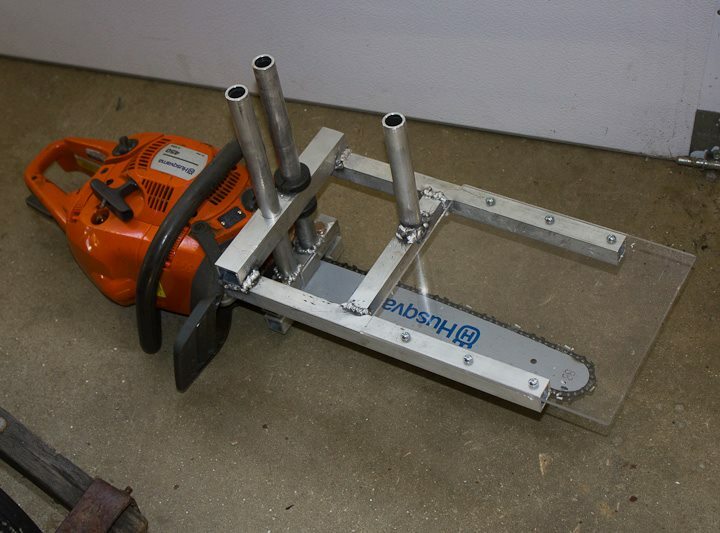 A bit of reading, some research, a raid of the metal stock racks in the shop, and about 2 hrs later I had my very own Alaskan style mini sawmill. 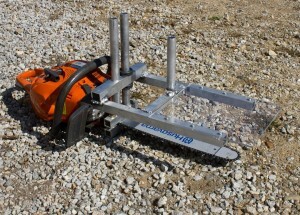 I have a few chainsaws, but the 450 Husqvarna is the one I decided to put this on for now. 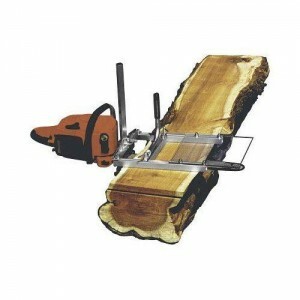 I based my design roughly off the Graberg International small log sawmill. I had considered buying one, but in this economy money is tight and the total cost to make mine was 6.95 (for the bolts). Everything else I had as scrap, scrounged from something or left over stock already payed for by some other project. Milling downed trees into lumber has become one of my favorite past times. Partially because I know I’ll use the wood for some project down the road, and partially because I feel happy knowing I’m turning trees grown on the property into valuable and useful material. My first few boards were not great as you can see below. The number one thing I learned early on is that it’s all about sealing the end grain on the log as soon as you cut them. Some of the maple I cut up checked faster then I could put down the saw and brush on the sealant. More on my end grain sealant of choice in a future post. 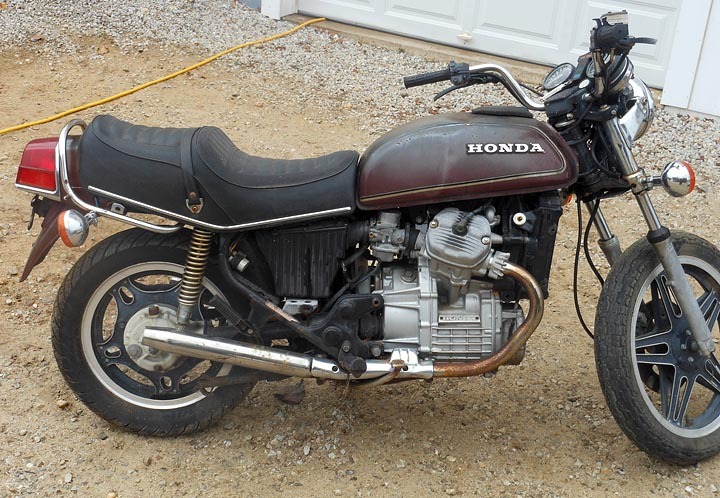 As it happens, a friend suckered me into this project with an IM link to this page on a 1978 honda cx500 cafe racer build. We both were very excited by the article at the time. 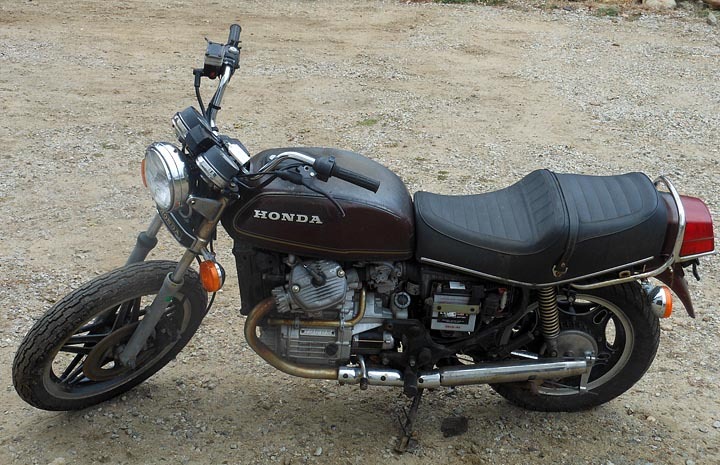 This was about a month ago, since then I’ve done a great deal of research, reading and a bit of Craigslist hunting. 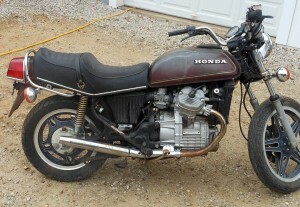 I finally came across the right bike for my winter build a cafe racer project. 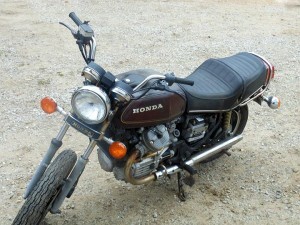 I went and met with the owner, Aaron last night and came home with my project donor bike, 1979 CX-500. The bike runs well but needs some brake work on the mechanical side. I’m sure there will be some surprises along the way but for now, I’m really happy with my purchase. A friends wife contacted me one afternoon back in September, inquiring as to my availability to build a new dining table for them. 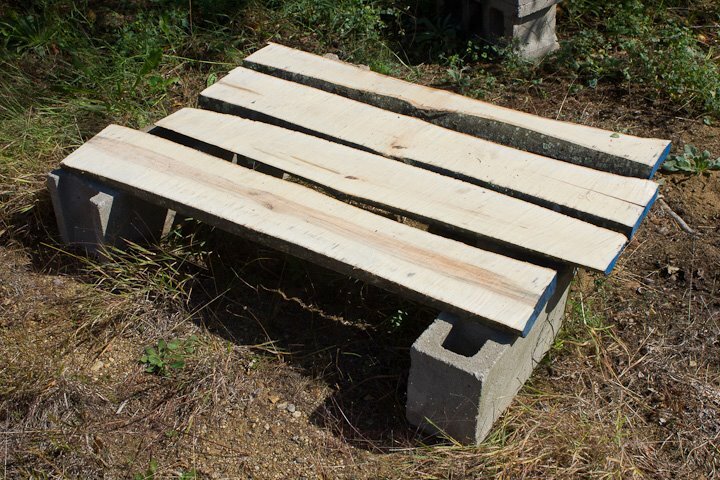 After some discussion and lengthy decision making process on the design, style, and type of wood I began construction. 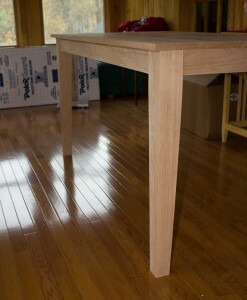 This is the dry fit assembly of the table. I used mortise and tenon joints on the lower part for this table. 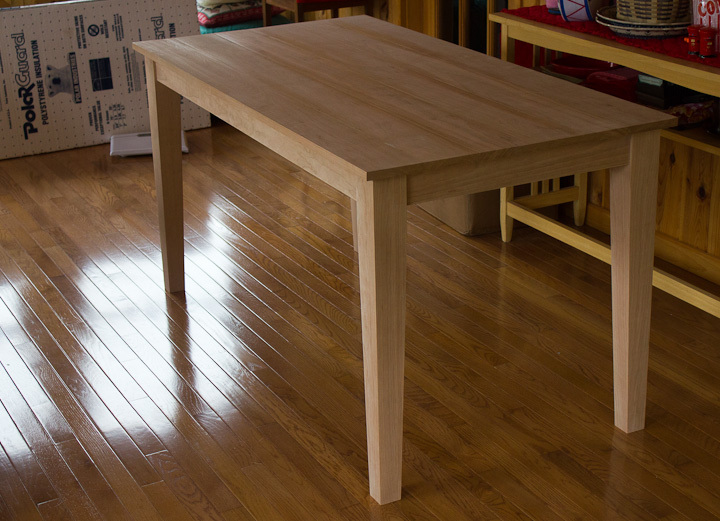 Originally we discussed simpler and cheaper pocket hole joinery but I felt that a table shouldn’t need to be tightened up with time and get all wiggly like my current store bought kitchen table has a tendency to do periodically. More on this project as it progresses. Greetings and salutations. I’m working on getting this new blog up and running. I plan to use Projects by Zac as a single hub to manage and share all of my many projects spanning woodworking, machining, artwork, modeling, robotics, cnc and whatever else I’m working on for the day. I hope this format works and I can successfully share and organize my projects with the world at large, because I know that the world at large cares oh so deeply.